While by day the scene sizzles at the Sand Bar, evenings at Eden Rock have long been a sleepier affair of early-to-bed or fleeing to Gustavia. Alas comes The Rock Bar, a sunset lounge bar overlooking St. Jean Bay offering a stylish DJ terrace that combines original cocktail creations and tapas by Chef Jean-Georges Vongerichten.Eden Rock does sunset mixology bar with unrivaled views and lounge DJs from 5pm in high season. Stylish terrace bar is open to the public after 5pm, with an array of tapas dishes and seasonal cocktails. 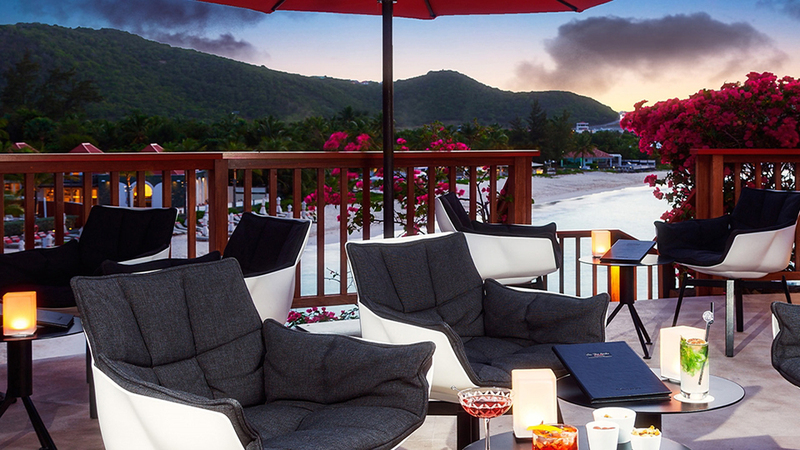 Eden Rock does sunset mixology bar with unrivaled views and lounge DJs from 5pm in high season.